If you are concerned about your home’s foundation, you may need a house foundation inspection. What are some common causes of foundation problems? According to the Texas Section of the American Society of Civil Engineers, many parts of Texas have clay soils. 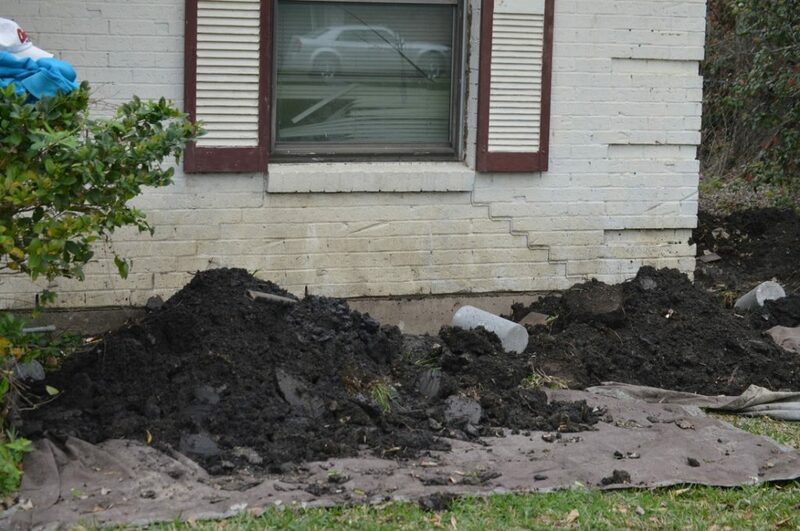 This type of soil is affected by changes in moisture content and will shrink and swell, causing the foundation to move. Other factors that affect your foundation include design practices, the deterioration of building materials, slope instability, or landscaping practices. The inspection process typically begins by meeting with a foundation company representative. This meeting is an opportunity for you to ask questions and express your concerns about the foundation. The contractor will then evaluate the exterior of your home. This includes checking your foundation elevations. The measurements of your foundation elevations will help the contractor determine whether the foundation is out of level. The contractor will also be looking for foundation cracks, damaged walls, doors or windows that are out of alignment, and any other signs of sinking or cracking. If your home was built using piers and beams, the contractor will inspect the crawl space under your home. The contractor will examine your piers, beams and joists to see if they are wet or rotted. He will also be looking for signs that the crawl space is damp or musty. If so, you may have a foundation drainage problem, or a plumbing issue that needs attention. 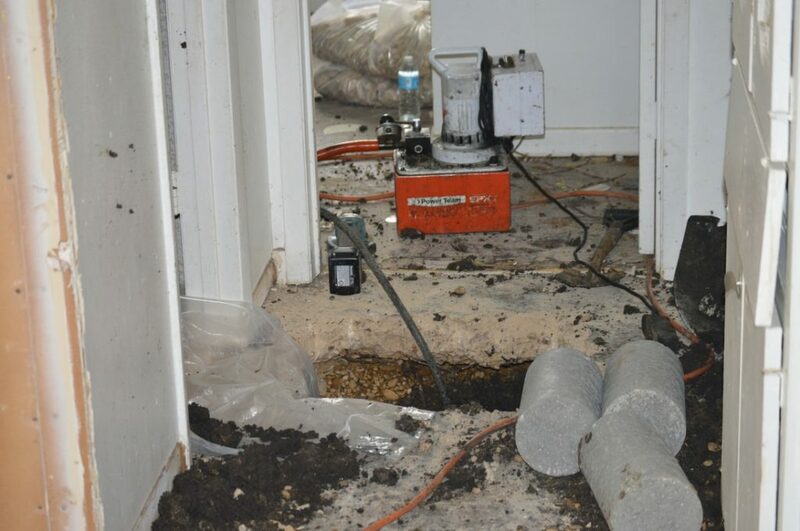 The foundation inspection contractor will also check for damage inside of your home. He or she will be looking for cracks in ceilings, walls and floors. The contractor will also take measurements to determine if your foundation is out of level and to what degree. Once the inspection has been completed, the inspection contractor will discuss the findings with you and make recommendations about what, if any, foundation repairs are needed. If you are concerned or have questions about your house’s foundation, contact us. We are here to help. A pier and beam foundation is a type of foundation in which piers are placed deep within the soil, and beams are laid across the piers to carry the weight of a house. The piers for these foundations can be made out of either concrete or wood, and they have been a popular type of residential foundation for many years due to their strength, stability, and due to the fact that raised foundations make it easy to add additional plumbing and electrical underneath a home down the road. However, even though pier and beam foundations are a sturdy foundation option, over time foundation damage can occur. If you have discovered foundation damage in your home and you have a pier and beam foundation, you may be wondering what caused this damage; here are a few of the most common causes of pier and beam foundation damage. One of the most common culprits of damage to pier and beam foundations is improper drainage. If you do not have sufficient drainage under your home, rainwater and other moisture can accumulate there. This can not only cause water damage to your piers, but it can also cause the soil underneath your home to shift which can further destabilize your foundation. If you have ever noticed standing water in the crawl space underneath your home, you should consider having drainage added to prevent future damage. Overall, moisture is deadly to foundations, and you should consider having your foundation inspected if your crawl space floods, or if you notice excessive moisture underneath your home. Another common cause of damage to pier and beam foundations is insects. Termites, carpenter ants, and other pests can take root in your crawl space and cause damage to your piers and beams, causing critical damage that can threaten the structural integrity of your home. This makes it imperative that you regularly inspect your crawl space for signs of pests, and that you call an exterminator and a foundation inspector if you notice carpenter ants or termites in and around your home. It is important that when you have a damaged pier and beam foundation repaired that you know what the cause of the damage was, as this will allow you to address the cause of the problem. If you do not address the cause of the foundation damage, you will be likely to encounter foundation damage again in the near future. Contact us to learn more about pier and beam foundations including how you will know when your foundation is in need of repair.